While modular synthesis has been around for decades, the past few years have seen a huge revival of interest in all things analog and patchable. The emergence of a whole slew of new module manufacturers has gone hand in hand with a re-discovery among electronic musicians of the creative possibilities of modular synthesis. And now, with OSCiLLOT by Max for Cats modular synthesis has also come to Ableton Live. 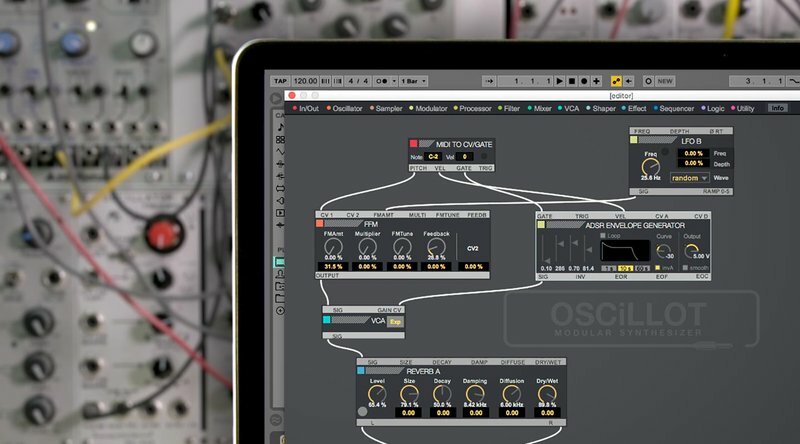 OSCiLLOT is a Max for Live device that provides you with more than 100 freely patchable modules which you use to build your own instruments and effects. The great thing about working with a modular system is that it requires no programming knowledge to make your own patches; simply connect any output of any module to an input of any other module with a patch cord and you’re on your way. Watch this video for a brief introduction to modular synthesis and how you can harness its creative potential inside of Ableton Live with OSCiLLOT.